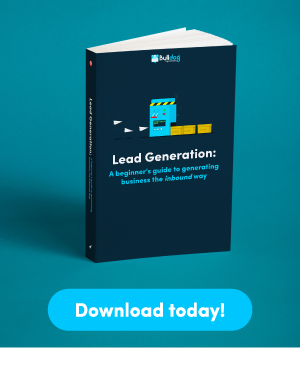 Where does 50% of all website traffic go? The internet is a wonderful thing, and with over 1.8 billion websites available at the click of a button, you can find just about anything you want in a matter of seconds. A staggering 4.4 billion people now use the internet, which is amazingly over 50% of the entire population. Due to this, we know how important it is for a business to market themselves online, but what are we competing against? Where does 50% of all website traffic go? We’ll start with the websites which are leading the pack – the ones who soak up traffic in all its glory. Many of us can only dream of a day where we see traffic levels this high, but with names as big as these featuring in the top 5, we’ll have to dream a bit longer. Taking the ultimate first position, and rightly so, is the beloved search giant Google. With 63,000 searches performed on Google each minute, it’s not surprising to see that the site gobbled up a whopping 57,000,000,000 user visits in January 2019. Considering Google is the reason why our fantastic digital marketing agency is up and running, it’s nice to see that we won’t be going out of business anytime soon. 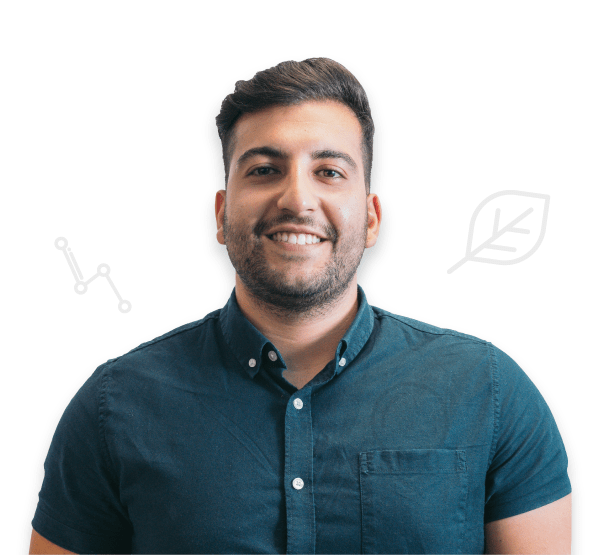 With this amount of people visiting the site each month, it’s clear to see that a well-thought-through SEO or PPC strategy will have incredible benefits for any website. Taking second place is social media platform, YouTube – the ultimate go-to for just about any video you can imagine. From handy tutorials to funny cat videos, YouTube has it all. Since the rise in ‘YouTube fame’ has proved that you can earn a sweet penny from uploading, YouTube has only got stronger. We now have a whole generation of teens wishing to be YouTubers when they grow up, and it’s interesting to finally see YouTube take over Facebooks reigning social media position. With 16,800,000,000 visits to the site in January 2019, it seems that video optimisation won’t be slowing down anytime soon. Following very closely behind in the third position, we have Facebook with 15,000,000,000 users in January 2019. Youtube and Facebook have been fighting for the social media throne for some time, and it seems that things are still extremely close. While rumour has it that Instagram will soon be taking over Facebook, we can’t deny that the stats do the talking, and Facebook seems to be sitting comfortably for now. We know how difficult it is to outrank Wikipedia, and with 4,500,000,000 users visiting the site in January 2019 alone, it seems that this website is still considered the holy grail of information. Celebrity upbringings? Sorted. Exotic coffee beans? Sure. Whatever your query, Wikipedia has an answer. Where does the rest of the traffic go? That’s right; we didn’t just analyse the top 5 websites – we analysed the top 72! From more social media favourites such as Twitter and Instagram getting over 2 billion monthly visits and leading streaming platform Twitch getting over 642 million, it’s safe to say there’s a right variety of niches here. 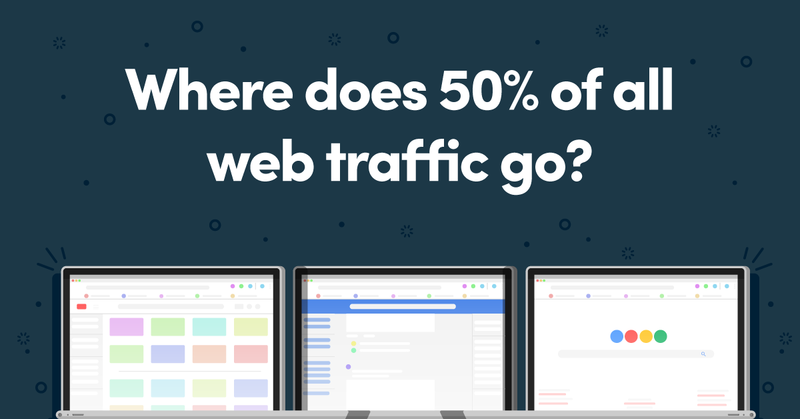 Where does 50% of all web traffic go? What do you think about the results? Did you expect to see the majority of these websites doing so well? Get in touch with us today if you wish to boost your online presence and see traffic higher than ever before.